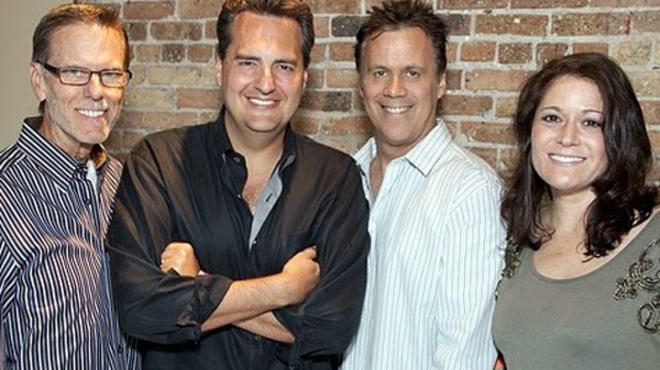 Great news for fans of Chicago’s best afternoon show: Roe Conn and Richard Roeper were just renewed for three more years at Citadel Broadcasting news/talk WLS-AM (890). Although both hosts had months to go on their current deals, the new agreements announced Tuesday lock them in through the end of 2014, and solidify their on-air partnership by linking the effective dates of their contracts. Financial terms were not disclosed. With the WLS morning team of Don Wade and Roma also under a multiyear deal, the two drive-time duos are secure as the station prepares for new owners. Earlier this year, Cumulus Media agreed to buy Citadel Broadcasting, including WLS and oldies WLS-FM (94.7), in a $2.5 billion transaction. The transfer is expected within the next few months. The public vote of confidence for Roe and Roeper came one day after they shined during a six-hour recap of the Rod Blagojevich trial, which they’d been covering from the get-go with gusto and authority — a fact not lost on Michael Damsky, president and general manager of WLS. The Blago story was one of several they’ve dominated since Roeper, the longtime Sun-Times columnist and nationally syndicated movie-review host, joined Conn, a 15-year veteran of afternoons on WLS, in April 2010. The two also were in rare form during high points of the Chicago mayoral election cycle — from their coverage of the controversy over Rahm Emanuel’s residency to the face-to-face meeting they brokered between Emanuel and Dan Sinker, the Columbia College prof who created the @MayorEmanuel sensation on Twitter. Another boost for the show came last November when NBC began airing a video simulcast from 3 to 6pm weekdays on its Chicago Nonstop digital subchannel. In addition to his afternoon show (which also features news anchor Jim Johnson, traffic reporter Christina Filiaggi and daily contributor Ron Magers), Conn has been appearing since late May as a regular commentator on Windy City LIVE, the morning talk show airing on ABC 7.